The Civil War began 150 years ago today. Several of my direct ancestors fought in the Civil War, but I have yet to find a relative fighting on the Union side, even though some of them lived in the North during the conflict. My third great-grandfather Shelby McDaniel served in the 9th Texas Field Battery (Lamar Artillery). I actually have a copy of his service record courtesy of my cousin Chris. He was a private under Captain James M. Daniel’s Artillery and was 26 years old on the first muster roll. He went into service on January 18, 1862 at Paris, Texas and was to serve for the duration of the war. The descriptive roll taken on April 8, 1862 describes him as 5 feet 9 inches with a dark complexion, dark eyes, and dark hair. His occupation is listed as mason, his birthplace as South Carolina. At that time his “body [was] sound and health [was] good.” However, by the muster roll in May and June of 1862, he is listed as sick in a hospital in Little Rock, AR. I’m not sure what illness he had, but suspect it was one of the usual war time ailments such as dysentery. It looks like he was released and either was not well yet or became sick again because the muster roll for September and October of 1862 says he is sick in camp from June 1862. 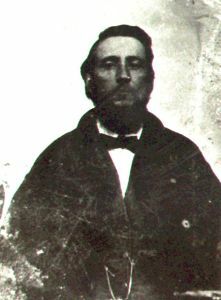 He was back in the hospital in Little Rock in November and December of 1862. The remarks say he had been in the general hospital since November 11, 1862. By the March and April, 1863 muster roll, the remarks indicate he was “detailed com. dept., Little Rock, Ark., Oct, 1862 by order Maj. Gen. Holmes.” I believe that his orders changed and perhaps due to his illness, he was transferred to the commissary department (if that is indeed what the abbreviations mean), but I can’t be positive. By the November and December, 1863 muster roll, he had deserted and been dropped from the roll. I can’t say as I blame him much, given he had been sick well over a year. 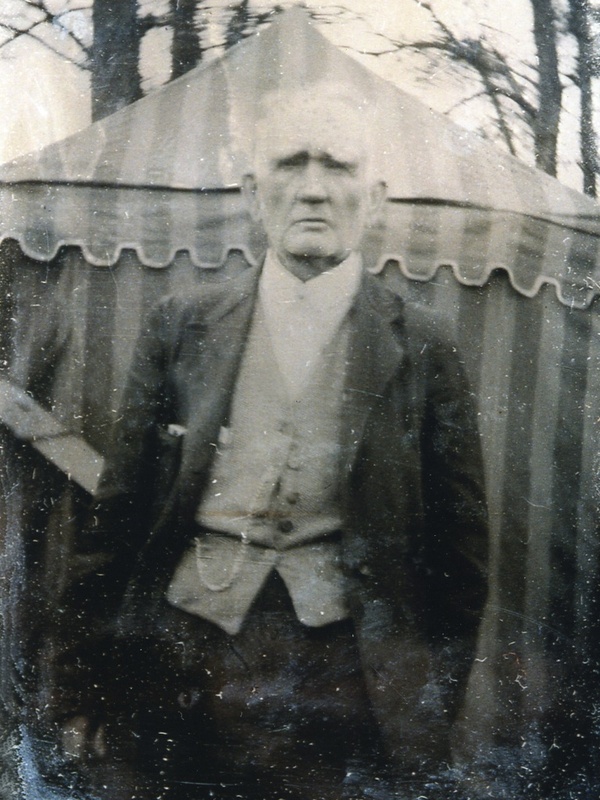 I shared what I know about another third great-grandfather, William Jones Bowling, in a previous post, but I never published my transcription of his pension application, and given the wider scope of this post, I think I will save publication for later this week. In the post I linked, I noted that William Jones Bowling became a minister as a result of his experiences as a POW during the war. I surrendered in front of Petersburg, Virginia on April 23 1865 and was discharged from Federal Military Prison at Point Lookout, Maryland about the first of July 1865 the exact date of which I do not now recall. It sounds like he was attempting to defend Petersburg at the time that it fell in April, 1865, an event that signaled the end of the war for the Confederacy. This website gives more information about his regiment’s movements during the war. John B. Jennings enlisted on June 13, 1862 at Tupelo, Mississippi for Alabama Confederate service, Co. E, 16th Regiment, infantry for 3 years, private, but it is unclear if he is the same John B. Jennings that was my third great-grandfather; the 16th Regiment companies were raised in Franklin and Lawrence Counties. The record gives little information, does not mention where the company fought, and, evidently, he was not wounded. John’s granddaughter, my great-grandmother Annie Lola Jennings “heard that he was in the Civil War.” A family member possesses a small framed photograph; on the back is written “John Jennings, Florence AL, United Confederate Veteran, 19th Reunion, Albert Sidney Johnston.” He’s a rather mysterious figure in general, however, so it doesn’t surprise me that his Confederate records are also shadowy. Four of my mother’s second great-grandfathers served on the Confederate side in the war. I have not been able to verify service for her other second great-grandfathers Johnson Franklin Cunningham, John L. Willis, or Nathan Taylor Meeks. Johnson Franklin Cunningham may have been a bit on the older side when the war began. He would have been 38. My grandfather tells a story he heard from a relative about this ancestor being in the war, but I can find no service record. He lived in Oglethorpe County, Georgia at the time. John L. Willis may have been too young, having been born in 1849. He lived in Franklin County, Alabama during the war. Nathan Taylor Meeks was born in 1847 and may also have been a bit too young, certainly at the beginning of the war, but I could find no record that he enlisted later. He lived in Tippah County, Mississippi during the war. I have not been able to determine the name of her remaining second great-grandfather, but I do know the family was likely living in Illinois at the time, and it stands to reason that if he was of age to serve, he may have served in the Union. On my father’s side, four of his second great-grandfathers were of age to serve, but I can find no service records. Conrad L. Gearhart lived in Licking County, Ohio at the time of the war; I’m not sure where Joseph Alfred Willhide lived, but he was in Iowa by 1880 after having been born in Maryland; William Henry Young was living in Sibley County, Minnesota, and Wilson Wages was living in Magoffin County, Kentucky. It stands to reason any or all of them might have fought for the Union, while Wilson Wages could as easily have fought on the side of the Confederacy. However, I could find no records. I do not know who his other four second great-grandfathers are with any certainty. Whether my ancestors served in the war or not, the war had a profound impact on their lives. Many on my mother’s side would eventually settle in Texas and Oklahoma, most likely because, as my grandfather always puts it, Texas was viewed as a land of opportunity. Some of my father’s family, too, continued west, eventually settling in Washington State. It is less clear whether or not the Civil War impacted them as profoundly as it did my mother’s ancestors. I’m envious of those pictures. Great research! Thanks for submitting this to the Challenge. Thanks, Bill. It was fun! I enjoyed printed story about John Jennings. I have heard the family story and have a copy of the picture. We have friends in California originally from Russelville, Al. They visit home every year. We joined them last summer and went to the cemetary that the county recorder gave us. I didnt find a headstone because the cemetary is in such bad repair but the pictures are awesome. I could be wrong about this, Mary, but I think Jan said John Jennings’s grave is unmarked or perhaps she didn’t know where it was. I can ask her and find out. I know that they moved to Texas because Lucinda Curry Jennings was afraid Veto and his brothers would grow up and try to avenge their father’s death and wind up in trouble themselves. John Thomas Stallings was my grandfather’s grandfather. I hadn’t seen the quotation before! I appreciate the information.